Roasted Garlic Pasta Sauce – holy cow this is so good, you won’t even know what to do! I made this for the first time last summer, and it quickly became a family favorite. 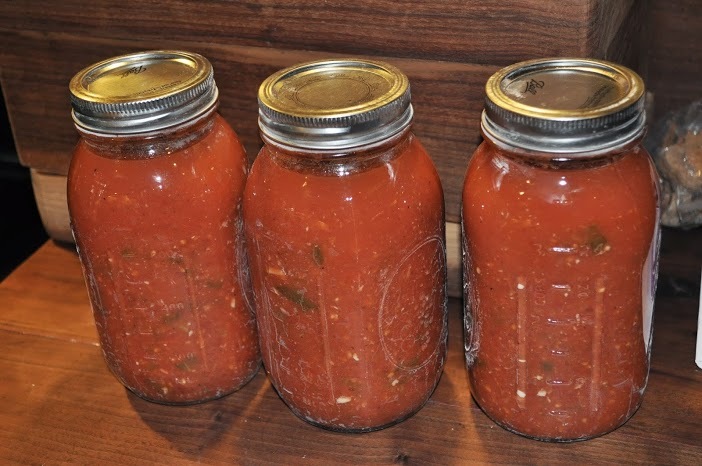 Plus, I love being able to go to the pantry to enjoy homegrown tomatoes, peppers, herbs and garlic in the dead of winter. I can these in quarts, add a pound of browned hamburger when we are ready to eat it, and then serve over pasta, or even better, spaqhetti squash. Of course, true to form, I always tweak the recipe. 🙂 I don’t peel the tomatoes – too time consuming, and I don’t mind the texture of an occasional peel in the sauce. Also, I simmer the tomatoes first, strain off excess liquid, and then add other ingredients. This greatly reduces cooking time. Enjoy! Wash Squash. Cut top off squash and cut in half. Remove seeds and innards (similar to what you would do with a pumpkin) and discard. Put one half, cavity-side down, on a plate. Poke holes in skin with a fork. Add around ½ cup water to the bottom of the plate. Microwave for 6 minutes, or until tender. 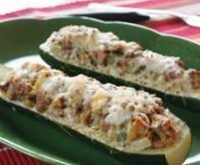 You can also bake in the oven on a baking sheet for 30-40 minutes, if you want to prepare more than one squash. To remove squash from skin, carefully hold the exterior of the squash and scrape the insides out with a fork. Squash will resemble strands of spaghetti. While warm, add a generous amount of butter and parmesan. Sprinkle with salt and pepper. Repeat with other half of squash. 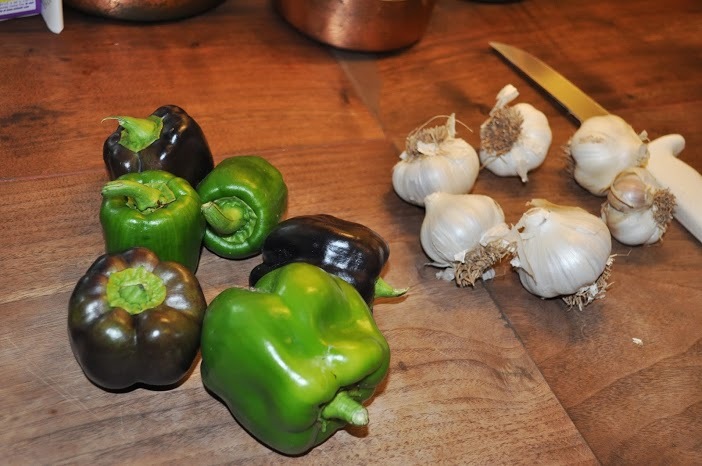 Eat as a delicious side dish, or top with spaghetti sauce for a healthy meal! Heat oven to 350 degrees F. Place squash halves cut-side down on a rimmed dish. Add 2 cups water to dish and bake at 350 degrees F for 40 minutes. Meanwhile, cook bacon in a large nonstick skillet over medium heat for 4 minutes. Add onion and apple. Cook an additional 4 minutes, stirring occasionally. Stir in ground beef. Cook, breaking meat apart with a wooden spoon, 5 minutes. Add brown sugar, pumpkin pie spice, sage, salt and pepper. Cook 1 minute. Remove from heat and stir in bread crumbs. Drain water from baking dish and flip over squash. Spoon meat mixture into squash halves. Return to oven and bake at 350 degrees F for 20 minutes. Serve warm. I know it’s not soup weather yet, but now is the time to buy fresh butternut squash at your local farmers market – they will save in a cool dry place (closet or pantry) for MONTHS, so they will be all ready for that first cool fall weekend! I am always looking for good winter squash recipes (seems like they are harder to find than summer squash recipes). If you have one, please send it my way! This Cucumber Salad recipe is a staple in our house during the summer – so delicious and refreshing! This recipe is from my cousin Kristin. Peel and slice cucumbers. Put in glass bowl. Sprinkle with salt and vinegar. Cover and let stand for 30 minutes. Mix mayo, sour cream, dill and lemon juice. Add onion and cucumber. Cover and chill. Heat oven to 350°F. Grease 9-by-13-inch baking dish; set aside. I have collected lots of yummy zucchini and squash recipes over the years, and I will be posting those here over the next few weeks. Keep checking back! 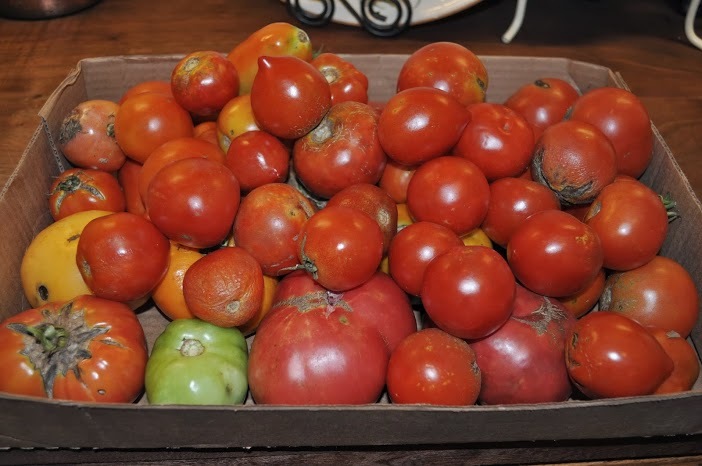 This will be the first week that we finally have some substantial vegetables to share at the Walnut Valley Farmers Market. 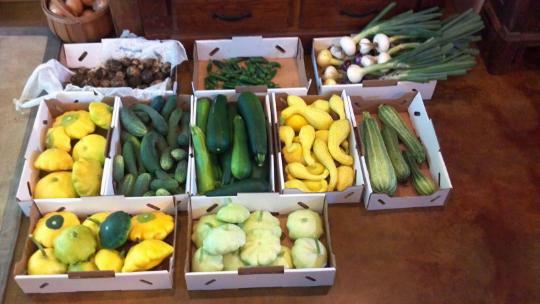 Yellow squash, zucchini, three types of pattypan squash, cucumbers, onions, and a few new potatoes and jalapenos. Still no tomatoes yes, but SOON. We also still have a FEW thornless blackberry plants left. If you want them, make sure to come early! We will also still be selling pecans. All of that squash is making me hungry for this recipe for “Glorified Zucchini Casserole” from Tasty Kitchen (if only I had just a FEW tomatoes …). When you try this recipe (and I say when, not if, because it is just Too. Darn. Good. not to try), I would recommend substituting some pattypan squash for either the zucchini or yellow squash. They tend to be a little “meatier” than either zucchini or yellow squash and hold up better during baking (is it possible for a vegetable to be “meaty”? … I’m saying it is). 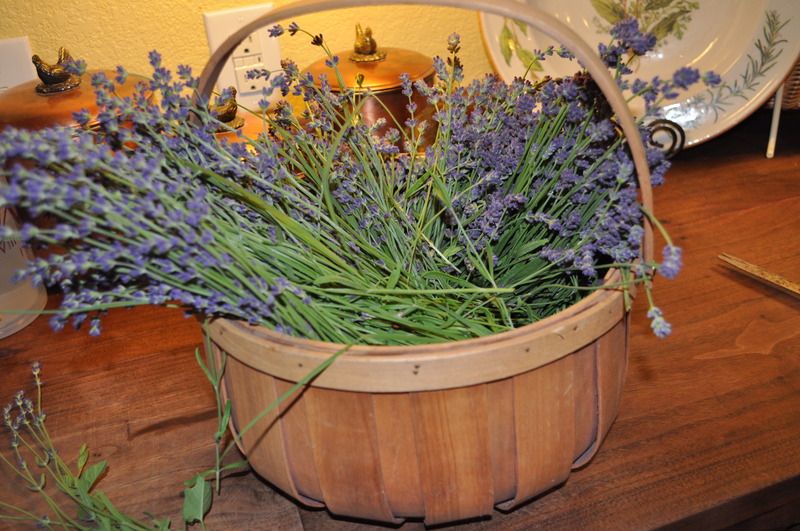 We will also have bunches of fresh lavender for sale for at least one more week. This week we will also be adding small, fresh flower bouquets! … something I haven’t done for awhile, but am looking forward to! Our spring kohlrabi is coming along nicely. Hope to have some for market in early June. Our kohlrabi did’t do well last year, since spring was so HOT, but I think we will have a crop this year. Looking forward to some simple, cooked Kohlrabi. Peel skin from kohlrabi (kohlrabi smaller than 3 inches in diameter, you can leave skin on). Cut into 1-inch cubes. 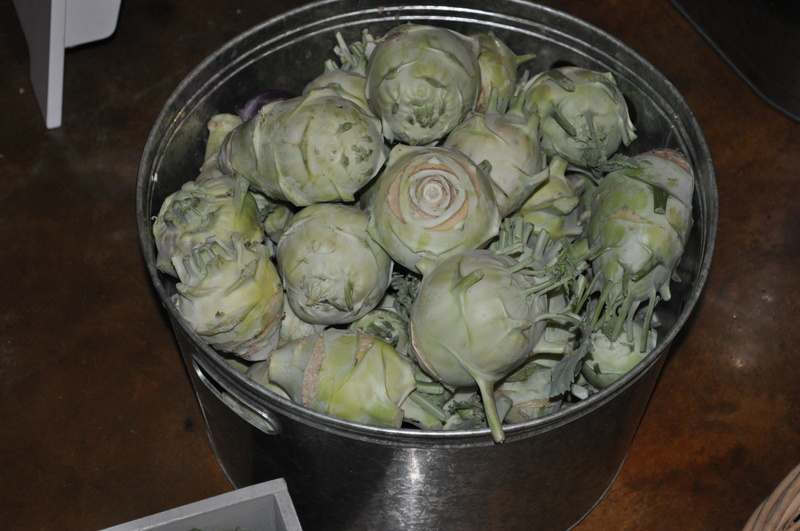 For approximately one pound of kohlrabi, add ¼ – ½ cup water and a few tablespoons of butter*. Cook in microwave for around 10 minutes, or until tender. *I add a sprinkling of sugar (½ – 1 T.) before microwaving. OR you can season with salt and pepper, and then top with parmesan cheese after microwaving. I am slowly but surely getting better at jam and jelly making. Granted, I haven’t practiced a lot, because we are just now starting to get enough fruit to process. 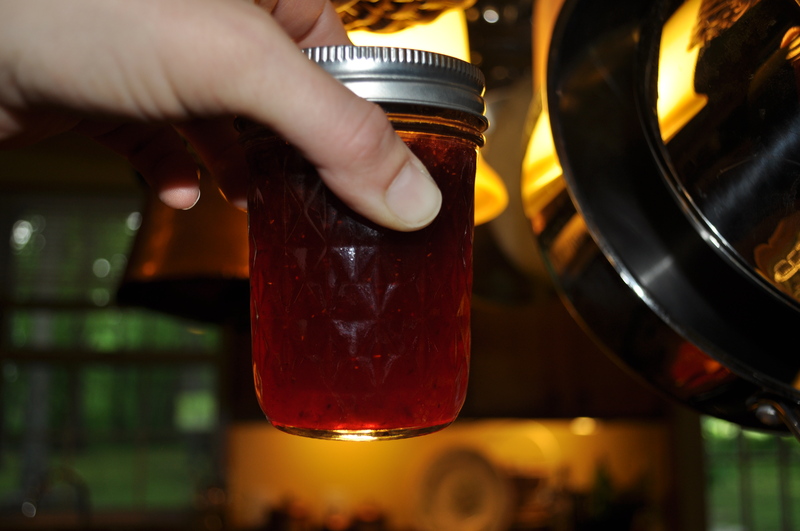 But I have practice quite a big on jalapeno jelly, and last summer, with tomato jam (it is delicious … trust me). Now, I am tackling berry jams. Most recently, Strawberry Jam and Mixed Berry Jam, using our own strawberries, raspberries and blackberries. However, the next time I make jam, I am going to try a trick I just learned for getting that pesky foam off the top … adding 1/2 t. butter to the recipe. Has anyone else tried this? Does it work?